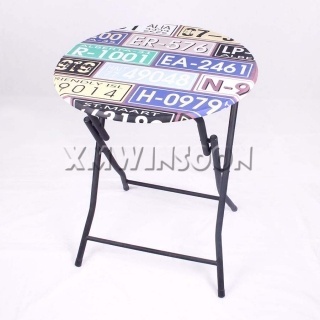 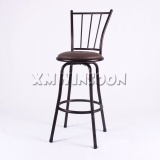 Metal Tube DIA 25mm, Micro Suede, Fireproofing Foam, Bar Stool Without Arms. 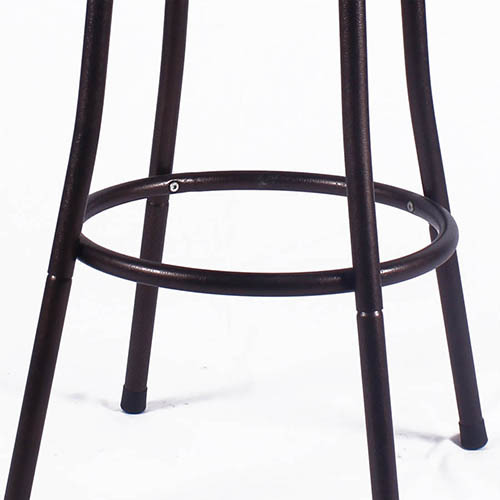 This Swivel Bar Stools is a very good solution to update your kitchen counter, wet bar or dining room when you eat, drink or enjoying a conversation with your friends or family when you choose the Metal Adjustable Swivel Bar stools 29"High AC1030. 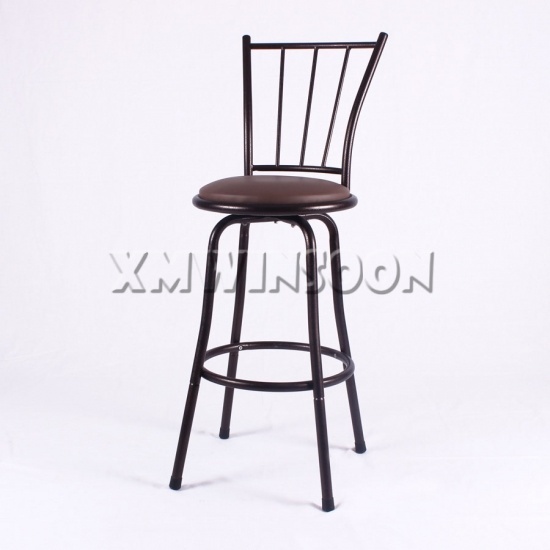 This Metal Swivel Bar Stools With Backs with simple and stylish design looks very well, and it made in metal tube frame construction with the dark brown color powder coating finish. The Stools seat cushion made in micro suede and fireproofing foam, the materials micro suede and metal tube construction are durable and easy to maintain. 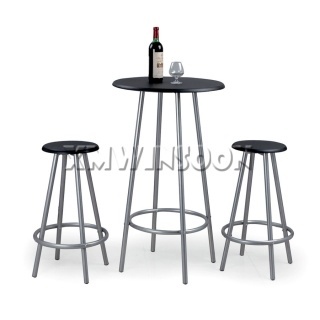 This Swivel Bar Stools has 360 degrees swivels functionality, it will be let you keep an eye on everything around you. 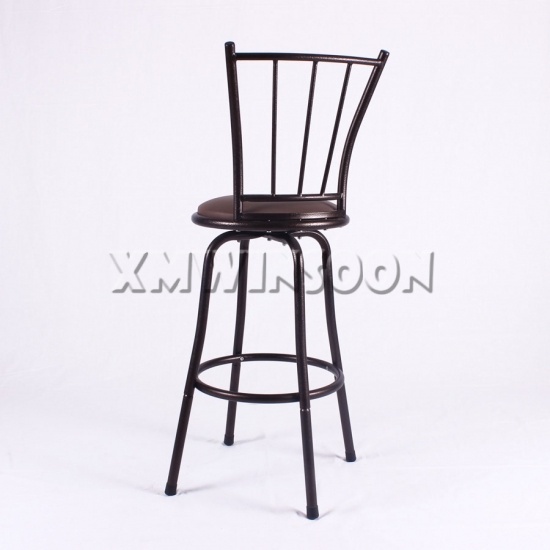 The strong foot rest all the way around stool to maintain the stability. 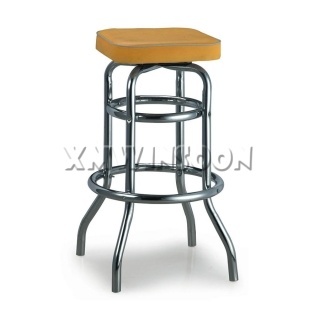 The Adjustable Swivel Bar Stools legs are adjustable to fit various height bars, tables or counter (the seat high from 23.5" to 29" is available). 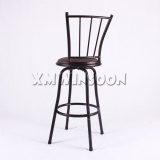 You can move around as you wish in your home when you eat or work. 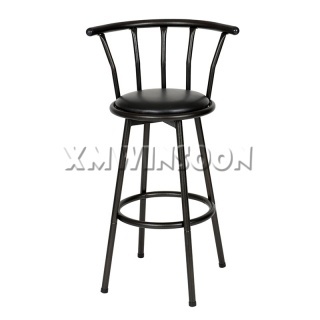 The Metal Bar Stools with strong metal tube frame construction, you will enjoy the thick suede padded cushion, well positioned footrest and the high backs should be give you plenty of support when you sit.